Kate Bush. Tori amos. Deep Purple. 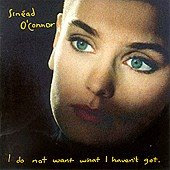 Sinead O' Connor. Joni Mitchell. Grand Funk. 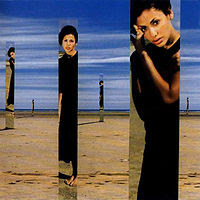 Sarah Mclachlan. The Beatles. Sting. 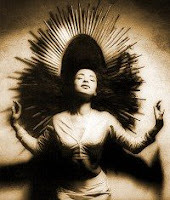 Sade. Whitney Houston. Mariah Carey. Khadijah Ibrahim. Uji Rashid. Pink Floyd. Aretha Franklin. Bee Gees. Led Zeppelin. Nancy Sinatra. Luckily, my dad has a large collection of CDs. I was lucky in the sense that I didn't have to buy my own CDs at the time (not that I could afford it with the little allowance that I get... well, at least I didn't have to) I remember going through them and listening to the ones which would make me crave for more. You know, those albums you couldn't stop playing on repeat. I then claimed them as my property because I was the one who religiously listened to the albums all day on my discman (Gosh, its been a long while since I used that word, discman). 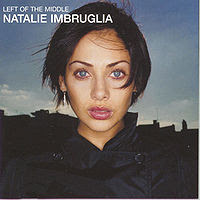 The few albums that I can remember putting on rotation non-stop were the Cranberries' No Need to argue, No Doubt's Tragic kingdom and Natalie Imbruglia's Left of the Middle. I was 10 years old when i listened to No Need to Argue. My favourite tracks then were Zombie, Ode to My family, Empty, Ridiculous Thoughts and Dreaming My Dreams. Couldn't stop listening. Their music and Dolores O' Riordan's style of singing were simply addictive. 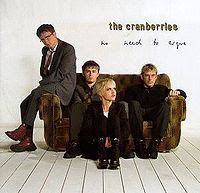 Around the same time, i found "the Cranberries LIVE" on VHS video tape somewhere in my then home. Pretty, Linger and Dreams from Everybody Else Is Doing It So Why Can't We and Daffodil Lament live were my instant favourites after I watched the video! I became addicted to watching them perform live (eventhough only through VHS) and that was the point when I knew that their music (then) would be my all time favourite. 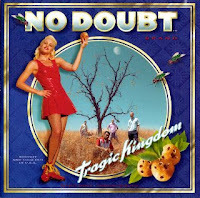 Tragic Kingdom was my other means of escapism. It came at the time when teenage angst was just about to grow in me. Just a Girl became my instant favourite. 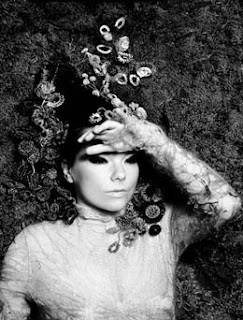 My other favourites were Happy Now?, Spiderwebs, Hey You, Sunday Morning and Don't Speak. Their music was refreshing to me and I just love Gwen Stefani's attitude that bursts through their songs. Saw them live with my besties Ruzana and Sarah years later, when they finally came to Kuala Lumpur. Had a blast and every bit as gempak (awesome) as I imagined it would be! Memories during the concert : All three of us wore pink hair spray (advertised to make our hair pink) since we wanted our hair to look like Gwen's hot pink hair in her Ex-Girlfriend videoclips which we so loved at that time. Unluckily, the hair spray colour did not turn out as it was supposed to and all it did was make our hair limp and glittery It was a massive disappointment for us that the product did not work and after that I learnt to be more careful of too-good -to-be-true products. Left of the Middle was another album that I didn't bother choosing which tracks to listen to because I listened to all the tracks from the beginning to the end. Almost every song in that album became my favourite at that point in time. When I saw her Torn video clip on MTV when it came out, me (and my cousins) cut our long hair short because we loved her hairstyle in the video clip so much. Okay that was random. That's all for now, I have so much more to write on this topic :) Till then.